Q Gardens launched its composting system on April 11, 2015. With a nine bin system, a weekly average of 75-100 food scrap drop offs, and many hardworking volunteers, we consistently have mounds of compost for the taking! 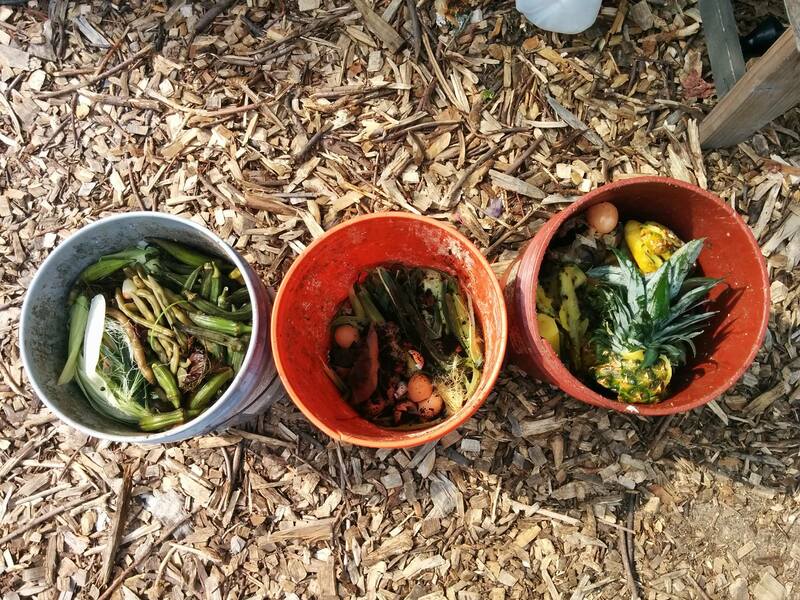 We offer compost in bulk amounts and suggest a donation of 50 cents a pound for those who are able to afford it (negotiable on a case-by-case basis). Thanks in advance! Donations from bulk compost are one of the ways Q Gardens sustains its operations. Please let us know the details of your bulk order request here, and we’ll get back to you as soon as we can. Compost in moderate amounts for individual use is free! You can pick it up anytime during garden open hours (see below). Interested in becoming a Q Gardens Compost Volunteer? We would love for you to join us! Sign up directly to host compost drop off hours with an experienced volunteer here http://signup.com/go/LYbgQFY or send us an email at nataliajsucre[at]gmail.com to be added to the composting team roster. What materials can I drop off? At home you can save your food scraps in the refrigerator or freezer; freezing will kill any food flies and bugs often found on the skin or shell of most fruits and vegetables, and the added moisture helps in the compost decomposition process. Carrying your food scraps in a reusable (and rinsable) container means no yucky plastic bag to get rid of. Other compost drop-off locations around NYC are mapped here.